It is no secret that cloud hosting is gaining in popularity these past few years. It has even increased its popularity as the world of online content flourishes. This one is not entirely new, but a lot of people across the globe are wondering what exactly it does. If you want your business to flourish online, you are going to need an incredible set of unique features. And one way to do that is to consider cloud hosting. 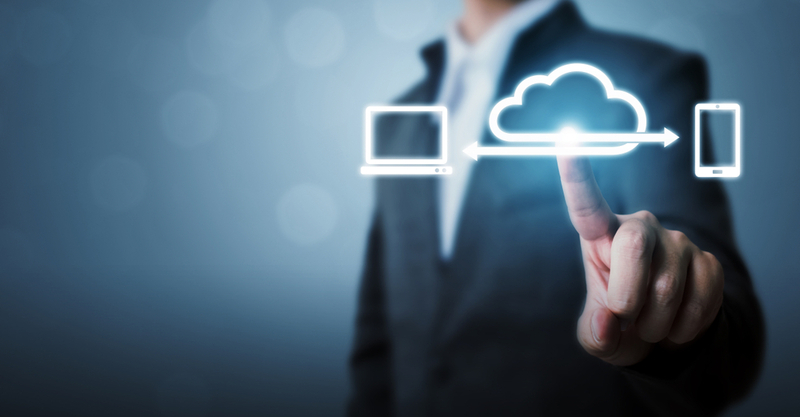 To help you have a better grip on the topic, here are ways you could benefit from cloud hosting. By doing so, you can rest assured knowing if it is a perfect fit for your business. You are probably aware of the many styles of paying a hosting provider. In most cases, the payments are made on a monthly basis, and this happens even if you do not utilize all server resources provided. This is not the case with cloud hosting, though. According to this CloudWays reviews, you will only be paying with whatever you are using. So, in a sense, you are truly getting your money’s worth. Let’s say you are expecting a content that is going to go viral, or perhaps your site is about to receive an unusual number of visitors. With other hosting types, you are obliged to pay all up. When it comes to cloud hosting, however, you are not obliged to completely upgrade your package just to accommodate some areas. What you are going to do instead is scale up your resources, which is something that you can when needed. With almost all types of hosting, your website tends to live on a single server. If something is about to happen to the latter, it is only right to expect your site to go offline immediately. What is even worse is that it is unlikely to get back online, not until that server is deemed fixed. When your hosting is redundant, it is only imperative for a site backup to exist. Why? That is because its goal is to take over your existing site, a process that could be done within seconds. But there is a huge catch here. What you probably did not know is that all redundancies, regardless of the features, are created equal. This is something that you will not really mind with cloud hosting. With the latter, you will instead be introduced to a concurrent live version of your site, which is something that your host can load immediately when the need arrives. If you are fond of utilizing any kind of conventional hosting, it only makes sense for your website’s uptime to always depend upon the physical server environment. So when it goes offline, expect your site to do the same as well. This is not the case, though, especially if you are using a CDN. In case you did not know, the latter is designed to help in reducing a website’s entire downtime. Cloud hosting is far better, though. That is because it comes with high uptime that is directly built into its core. Given the fact that your site will essentiallybe utilizing the resources of various servers, you can easily be moved to a different server if one or two starts going offline. The same thing can be said if these servers tend to experience technical issues. Above all, you get to have the capability of scaling server resources frequently required and, thus, allow you to ensure that your site will never go offline even if there is an expected surge in traffic. Yes, that is right. If you want to make sure that your site has incredible speed and performance, you should consider cloud hosting. As a matter of fact, a good number of cloud servers can provide you with blazing fast speeds, the type that no conventional hosting could ever offer. In addition to having the ability to seamlessly increase your website’s capacity, this type of web hosting is also meant to make load balancing between various server environments a little bit easier than usual. When you have this quality, there is much less strain inputted on a single server’s resources. It should be noted, though, that cloud hosting is not the only factor worth mentioning here. That is because your site’s speed can also be highly influenced by the server hardware foundation. So, as much as possible, you must find a cloud host that comes with a plethora of caching layers, low-density servers, and premium server hardware. This is without a doubt one of the biggest benefits of using cloud hosting. With it, you can ensure that your website is perfectly isolated from any potential physical server issues. And what are these issues worth preventing? Well, they include, but not limited to, hardware failure, system overload, and hacking. Basically, when a physical server is heavily compromised or experience a series of issues, your best course of action is to use the physical resources of another server. And mind you, this is something that can be done without the burden of downtime.